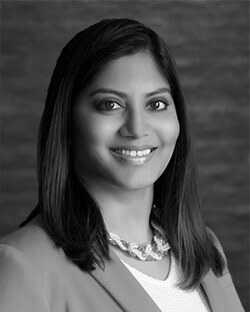 Between her vast northwest suburban knowledge, and her passion for all things Chicago, Urban broker Smitha Macherla confidently guides her clients through their transaction in the city or suburbs. Buyers, sellers, and renters, alike, have come to rely on Smitha’s honesty, candor, and keen attention to detail to help them pave their way through the process. Before entering real estate, Smitha came from a long-time career in student finance. Her acute skills managing accounts and researching various business models, allow her to work with investors to assess their investment’s real worth. She also focuses a great deal on first-time homebuyers. Helping clients transition from city to suburbs, or vice versa, are also among the areas Smitha holds near and dear. The Robert Morris University graduate earned her bachelor’s degree in Business Management is fluent in Hindi and Telugu, and is often counted on by clients from across the globe looking to invest in the U.S. When she isn’t working, Smitha can be found hiking, traveling, and learning as much as she can about architecture.